Grass-roots campaigners are warning GOP legislators to oppose any amnesty in the pending Christmas budget battles. This is clearly a huge issue for Americans – it is why they elected Donald Trump — and unless House and Senate Republicans realize that, it is very dangerous terrain ahead for them. 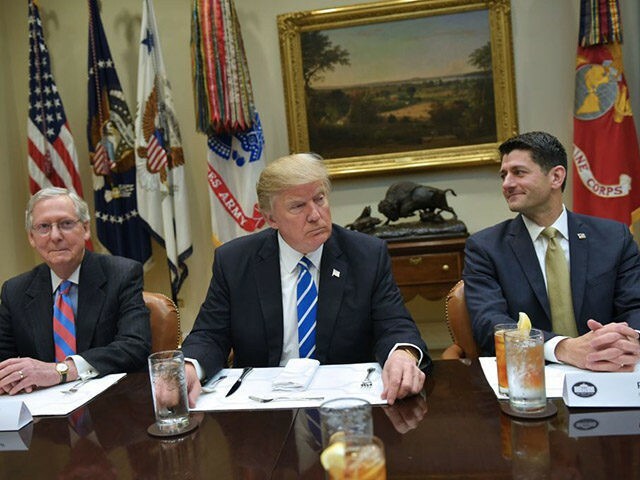 Think about the optics – – they failed on Obamacare, they failed on tax reform, but they pass an amnesty? If you betray us on this, it is over. [Conservatives] will never vote for Trump again because this was his freaking promise in every rally — no amnesties, build the wall, make America great again. The grassroots pressure is rising as GOP Senators debate whether or not to combine an ambitious reform of the immigration system with a painful amnesty for some or all younger illegals, ranging in numbers from 690,000 to 3.3 million. Trump released his immigration principles on October 8, which include an offer to accept an amnesty of some scale in exchange for ending chain-migration and the visa lottery. Both of those immigration rules allow immigrants to get green cards for their extended relatives, regardless of their skills, ideology or ability to assimilate. For the moment, influential GOP Senators say they oppose a Christmastime amnesty. “The president made it very clear that he doesn’t want to see any DACA legislation as part of a year-end package,” Georgia Sen. David Perdue, told the media after the Senators met with Trump on November 2. Perdue is a co-author of the Trump-backed RAISE bill, which would raise Americans’ wages by ending the chain-migration inflow of new workers. “This is not going to be part of the year-end omnibus or CR,” said Texas Sen. John Cornyn. The “CR” is Congress-speak for an end-of-year budget package. It could be border security. It could be ending chain migration. It could be the diversity quotas. But something that tangibly improves the legal immigration system in this country, I think, ought to be attached to DACA. But that vague list ranges ranging from token ‘border security” measures up to fundamental changes in the chain-migration system which has allowed Democrats to convert California, Virginia and other states into Democratic bastions. And his list also fails to include the most effective prophylactic against illegal immigration — the E-Verify law which penalizes companies who do not exclude illegal immigrants from hiring programs. House GOP leaders have formed a task force to develop immigration legislation. But House Speaker Paul Ryan won’t say whether he will try to help Americans with a bill opposed by Democrats and business, or just slide by with a cheap-labor bill favored by business and Democratic pressure groups. The GOP’s divisions and its record of support for mass immigration of Democratic voters have also bled out any trust among the GOP-voting activists. A deal is impossible, said Hunter, because “you’re not going to get anything in return.” Trump should use his presidential powers to enforce the immigration laws, repatriate illegals and direct government agencies — such as the Corps of Engineers — to build the border wall. “We need to start playing hardball,” he said. 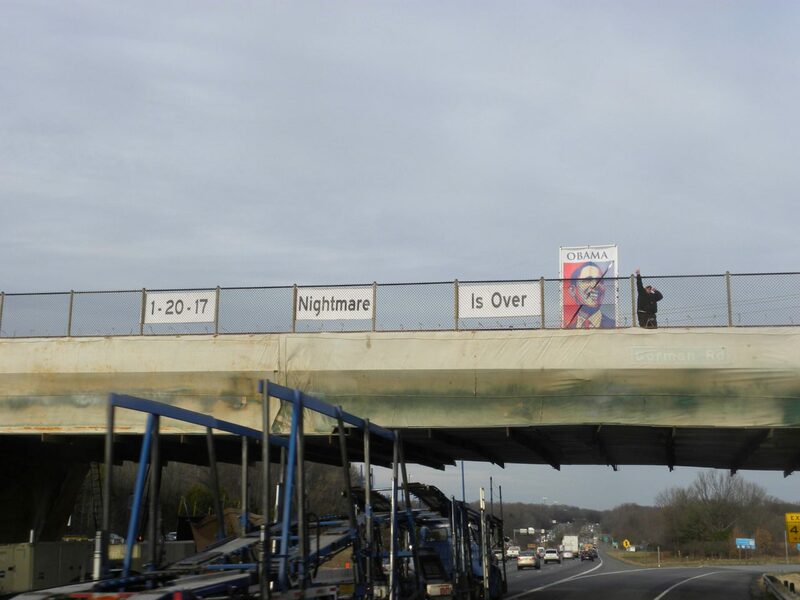 He and his group bypass the establishment and messages on overpasses over busy highways. Our backs are against the wall – we are already on the verge of being overrun by 20 million people illegally here. We are not going to concede one inch to this invasion or the people who are supporting it … The populists will see [an amnesty] as another surrender and sellout. Stop negotiating with those people … just enforce the law. If the GOP blocks the Democrats’ Christmas amnesty, the legislators won’t push an amnesty deal in 2018 because of the primaries and the 2018 elections, said Gheen, who group has large influence despite recurrent problems with Facebook postings and links. There are two straightforward simple measures that will dramatically change and improve our immigration system — No. 1 is geting rid of chain migration [because] we should not have a self-selected, extended family immigration system … [and] No. 2 is E-Verify, which will have a bigger impact on illegal immigration than any other piece of legislation. Those two should be the minimum if anyone is serious about responding to the demands of American people. These are unbelievably popular issues, so there is no excuse for these two things to not be the absolute minimum.